The best thing about a garden is when you use it. 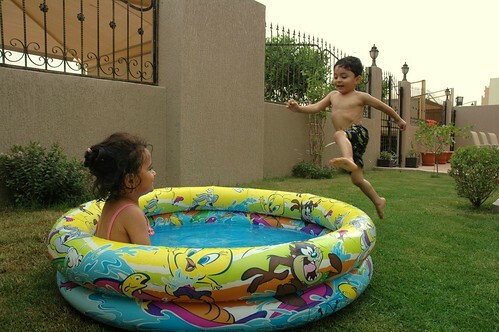 It’s now warm enough to start playing with water in the afternoons – soon it will be too hot! I have to admit, I probably had even more fun than the children did.